Kids with their dad. Photos by Janis Turk. Just before dawn, the dark streets of Amman feel more cool than dusty, like the way clay feels cold in your hands. The windows of my hotel room are cranked open to the sky. Soon it begins moving low on the wind — the Adhan, or call to prayer — the haunting beauty of male voices holding, warbling, weeping a long note. Then other voices come to it, meet it, echoing from other sound systems, other mosques. How peaceful a place that evokes dreaming, yet values dialogue with the infinite even more than sleep. Enfolded in the prayers of men, it occurs to me that maybe, in spite of my cynical self, I have come to Jordan to look for God. Most Midwestern ladies from my Lutheran church childhood longed to someday see the “Holy Land,” which to them meant trudging up a hill in Jerusalem with a black leather King James Bible tucked under their arms. 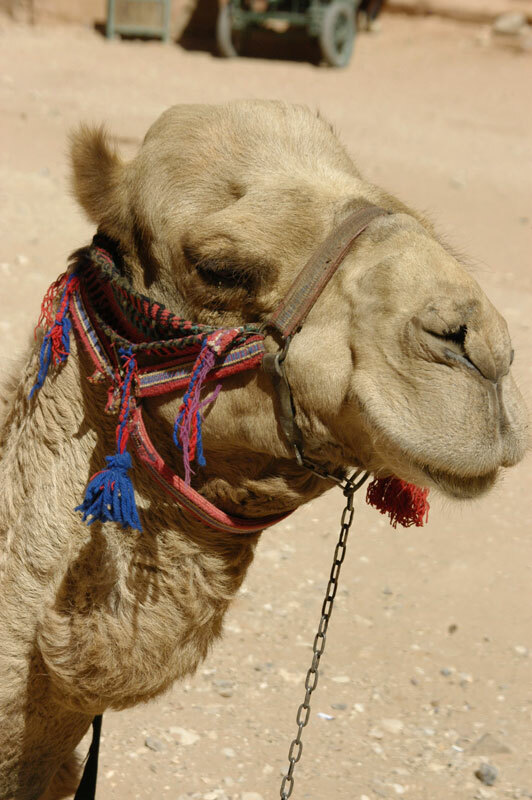 They may not have known that many of the stories of the Bible take place in Jordan, Syria, Egypt, and Turkey or that places sacred to the history of Judaism, Christianity, Islam and even the Baha’i faith are still within reach and well worth a visit, and Jordan is probably the best place to start. 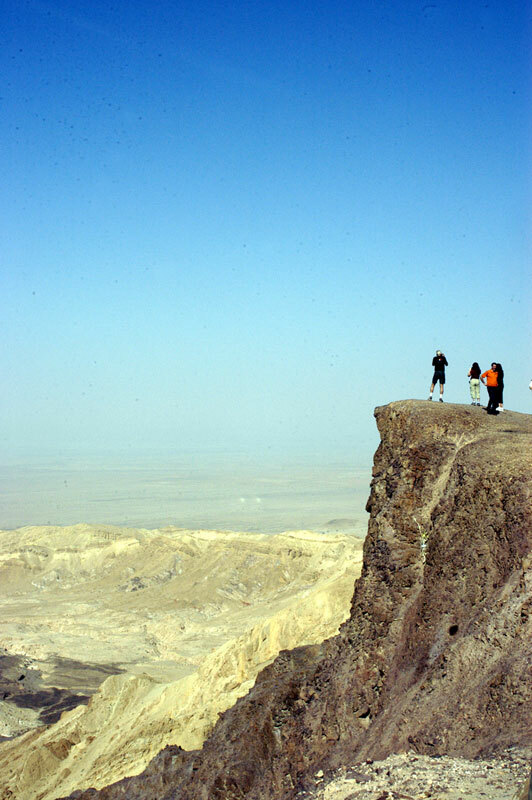 But tell a real traveler, and he’ll say, “I’m jealous.” It seems the only people who want to go to Jordan are those who have been there before or who have travel in their blood. True travelers heard of the wonders of the ancient red sandstone-carved temples of Petra. They have read stories about the cobalt waters of the Red Sea at Aqaba. They know how the hot-footed sun burns its soles in the desert sands of Lawrence of Arabia’s Wadi Rum. They’ve slathered on the healing black coal-colored mud of the Dead Sea and floated in its waters. Such vagabond souls understand that there is a fine line between beauty and uncomeliness — like a slim vein of pure silver or gold that runs through a dirty rugged rock, or the way mud makes a cleansing balm for skin. They also know that Jordan is the most neutral, safe country in this region and that the people there are warm and genuine in their welcome. Like many treasures in life, at first glance Jordan isn’t all that. You have to look more closely. First of all, they have nothing anybody wants to fight over — almost no oil, no water, no über-important natural resources, which is one reason why they’ve been able to keep their fingers out of the warring pies all around them, and makes it a safe interesting place to dip your toes into the Middle East. Much of Jordan is dry land looking like parts of western New Mexico or Arizona. And though it has its share of lush green landscapes, much of it looks like a large ash-grey gravel pit with big, hot, dry rock candy mountains. Cliffs and rocks that edge the southeastern edge of the Dead Sea look just like clear rock candy that crystallizes on a stick. So if you were to fly into Amman, hang around for a day or two, and be on your way, you might not get Jordan. But I do. One must become still and look closely to see the things that are truly worthwhile — things that will amaze you and steep like tea leaves in your soul. Maybe that’s the first lesson of Jordan as I go in search of something, someone, God maybe: There is something of beauty in everything — that is, if you pay attention. And maybe, just maybe, if you are open to it, there is something sacred. I gaze out the window. On a hill in the distance called Jabal al-Qala’a, there is a citadel with a white limestone dome. There, just northwest of the Temple of Hercules, is the Jordan Archeological Museum, which houses, among other things little pieces of the Dead Sea Scrolls. I sip my coffee and find comfort in knowing they are there — that sometimes words last. One of the oldest continuously inhabited cities in the world, Amman has been the cultural, economic, modern and ancient capital of Jordan. An excavation in the mid 1990s uncovered homes and towers that are believed to have been built in the Stone Age, some 7000 years ago. Filming a documentary in Jerash, Jordan. The Old Testament makes many references to the Ammonites and their capital city of Rabbath-Ammon (circa 1200 BCE). For a time the city was even renamed Philadelphia after the Ptolemaic ruler Philadelphus in the third century BCE. In 30 BCE, the Roman King Herod (you remember the bad baby-killer rap he got in the New Testament) took over Philadelphia, which became part of a loose alliance of ten Roman cities. During that time, the city got a facelift and was re-planned and reconstructed with Roman colonnades, baths, an amphitheater and stately buildings. Today, Amman is a modern city full of historic treasures. 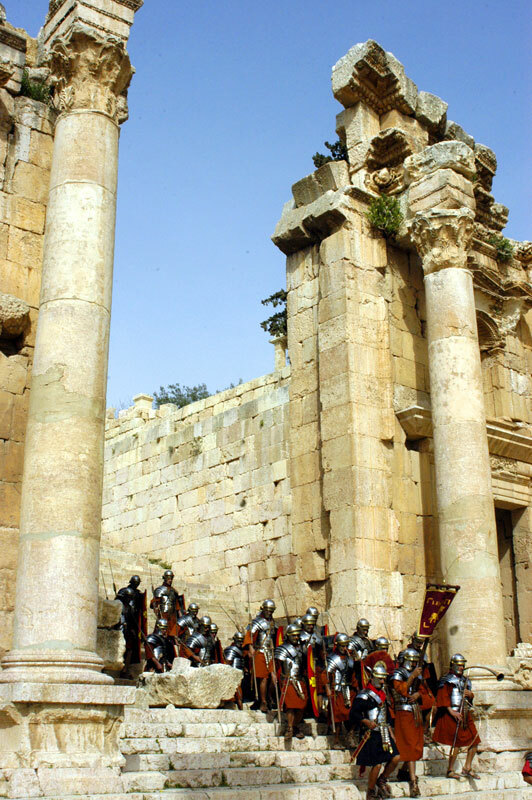 One of the nearby allied cities is Jerash, about 30 miles north of Amman, which today is still home to glorious ancient ruins of the Greco-Roman city of Gerasa, (sometimes called “Antioch on the Golden River” or the “Pompeii of the Middle East”). These fabulous ruins have been unearthed and restored on a green grassy hill overlooking work-a-day neighborhoods where citizens’ homes stand on the ancient foundations of their ancestors.